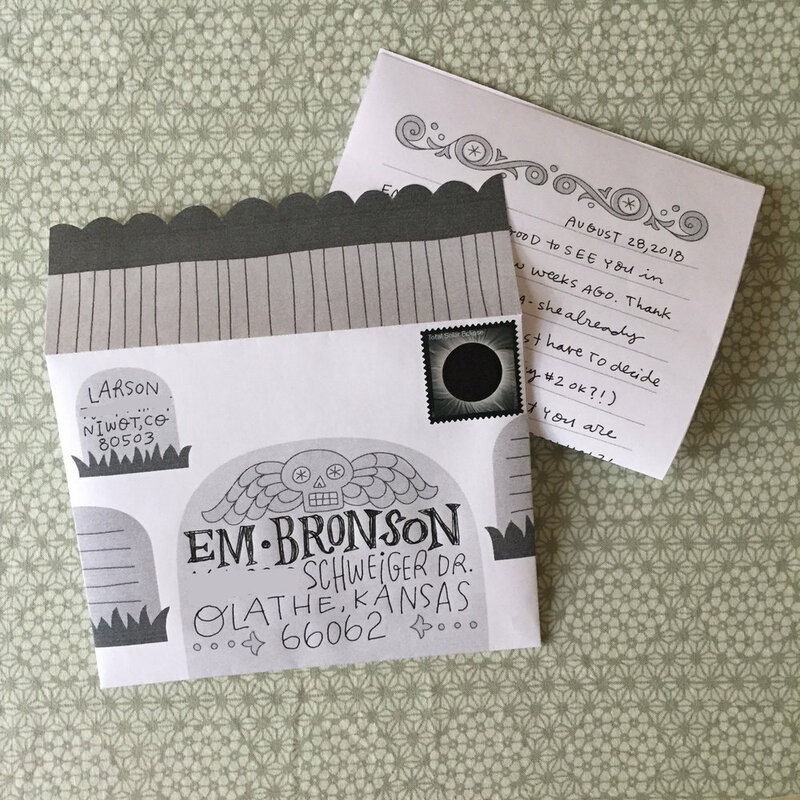 I mailed a few Spooky Dude necklaces and used this design to decorate the envelopes. 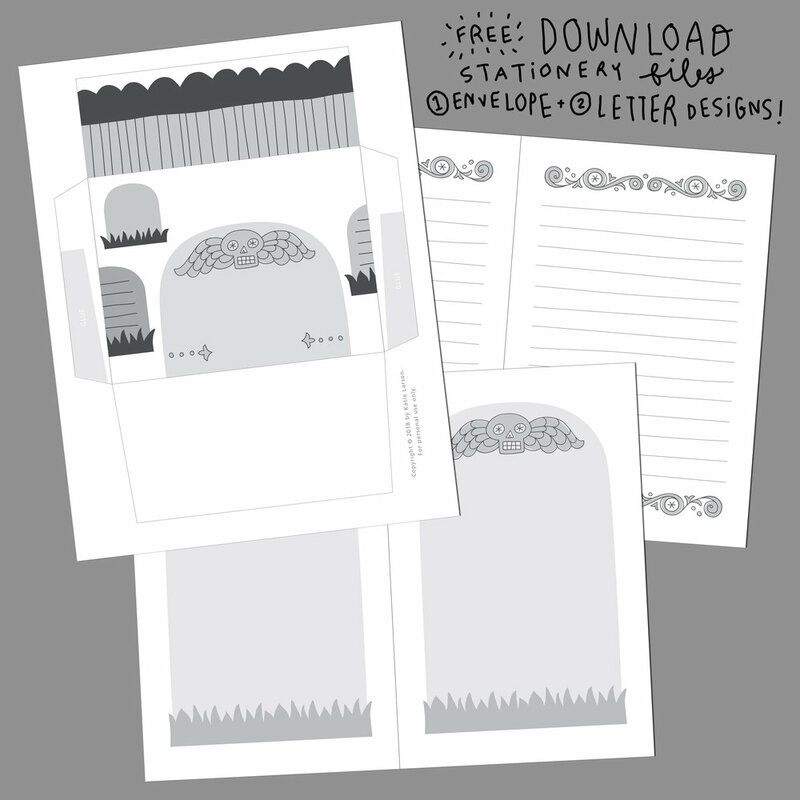 I immediately decided it needed to be a stationery set - so now you get to enjoy it too! 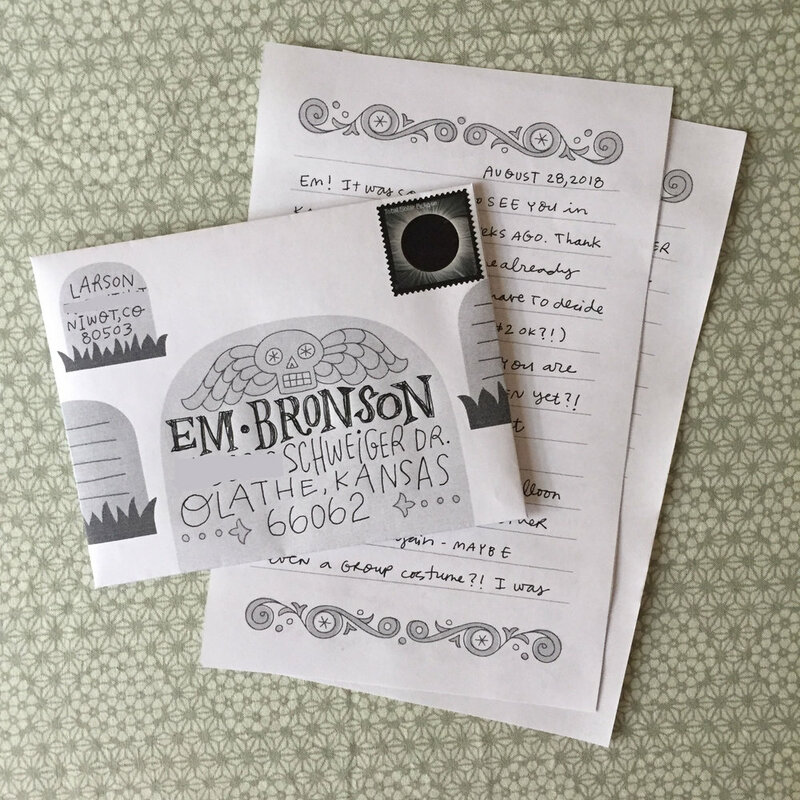 Click here to download the file, which comes with one envelope and two letter design options (two pieces fit on a page, and each piece when folded fits perfectly inside the envelope). I hope you use this to send some spooky mail to your friends and family! Cut around the edge of the envelope, and fold on the other lines. You can cut the scallops of the envelope flap edge, or cut it straight across. I just used scissors - it doesn't need to be perfect! Use the glue spots on the side to know where to place your glue. Download the file here and enjoy! Get the Spooky Dude plush pattern here!